PORTLAND — Maine’s largest flower show returns to Portland’s Thompson’s Point for its second consecutive year. The 2018 Maine Flower Show, owned and produced by MELNA, will be held March 22-25, 2018, with early-bird ticket sales now open. The show will feature 14 display gardens based around the theme “Rooted in Maine”, and will include more than 100 booths of plants, hardscape, arbor and garden supplies, as well as four consecutive days of speakers and seminars led by experts in growing and outdoor living. By purchasing online now through December 31st, attendees will save 20% on general admission pricing with the early-bird special, and will be able to bypass long event lines. This year’s event will also feature ample parking and shuttle services, with parking fees included in the price of admission. The cost of general admission is $20, with $15 specialty pricing for seniors, and free admission for children 12 and under. The 2018 show will also honor military veterans on Friday, March 23, by offering a special $10 admission charge per person, for both veterans and their spouses. Owned and produced by members of Maine’s horticulture industry, The Maine Flower Show is one of the biggest gardening and horticultural shows in the region. 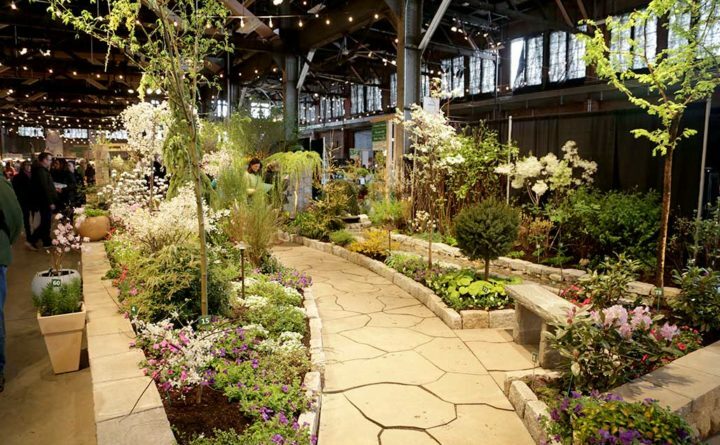 The Maine Flower Show boasts an exciting new location at Thompson’s Point, with vastly more square footage of plants, hardscape, arbor and garden supplies than any recent local garden show. The Maine Flower Show is encouraging and facilitating participation in the Million Pollinator Garden Challenge, and provides presentations and seminars throughout the show on all aspects of horticulture. For more information please visit www.maineflowershow.com. Established in 1970, the Maine Landscape and Nursery Association (MELNA) is a nonprofit organization dedicated to the encouragement and promotion of its members throughout the industry, including financial support of secondary horticultural education and product research, website connectivity, media representation, and a professional certification program. For more information, please visit www.melna.org and www.plantsomethingmaine.org.